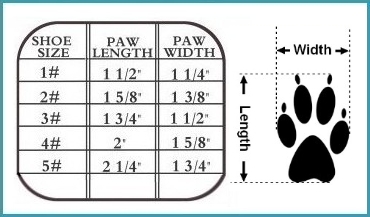 These dog sandals are perfect for protecting puppy paws from hot asphalt or preventing discomfort often associated with seasonal allergies. 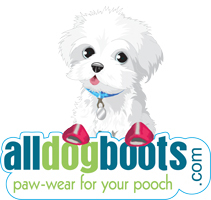 Your dog can make a doggie fashion statement this summer on the street or at the beach! Your pooch will be the talk of the town in this brand new, super cute style of fashionable and functional mesh dog sandals. Available in a set of 4: mesh doggy sandals come packed in a clear, snap pouch. I ordered the mesh sandals for my 16 year old Jack Russell. The length and width was appropriate, but the vamp height was not big enough to accommodate my old little guy's paws. I'd give these sandals five stars except for the problem I have of securely fastening them my dog's paw. I have a schnoodle and he has really thin legs. The velcro piece on the front of the strap is too far forward to get a good connection. Otherwise, a great item. Easy to get him to wear them after a couple of short tries and some good laughs. Sorry I can only rate them four stars for the reasons cited.